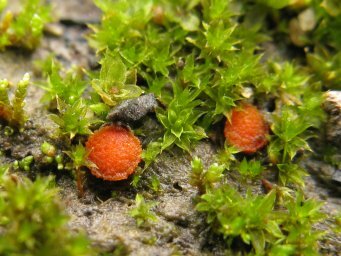 Hosts: Aloina sp., Encalypta streptocarpa, Encalypta vulgaris, Phascum cuspidatum, Pottia bryoides, Pottia intermedia, Pottia ssp. 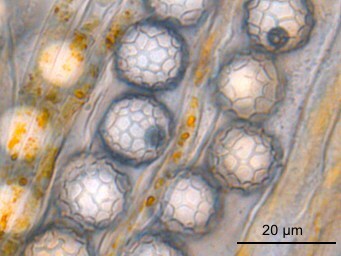 Notes: Lamprospora minata shows an unusually broad host spectrum and probably consists of several taxa with only weak morphological differntiation (Benkert 2001). Two infraspecific taxa were described by Benkert (2001).